I was in Kempsey on the weekend visiting my wife’s brother and we ventured down to his chook shed. 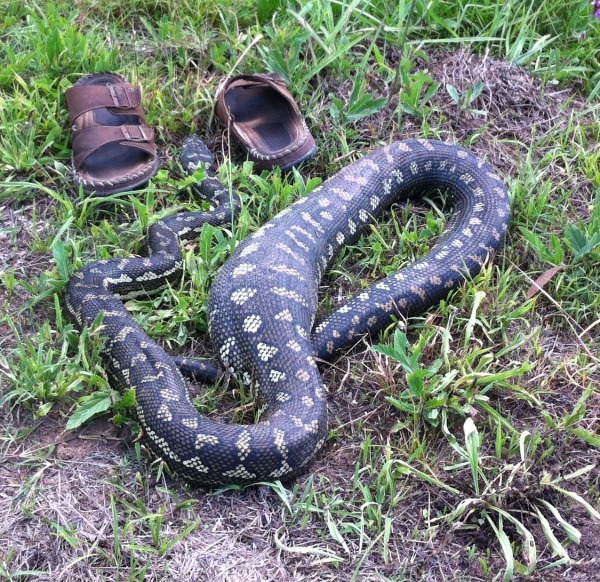 As we got down there he mentioned that something had been eating his chooks, but he didn’t know what – until we found another chook missing, 2 very nervous chickens standing in a corner and an 8 foot python coiled up with a big lump in its belly. My brother-in-law locking me in the chook shed with the snake – I assume he thought the snake might make a run for it and be thwarted by being unable to undo the lock??! “Are you sure they’re not poisonous?” – asks Mel, after I was bitten the first time at 1 minute 16 seconds in. 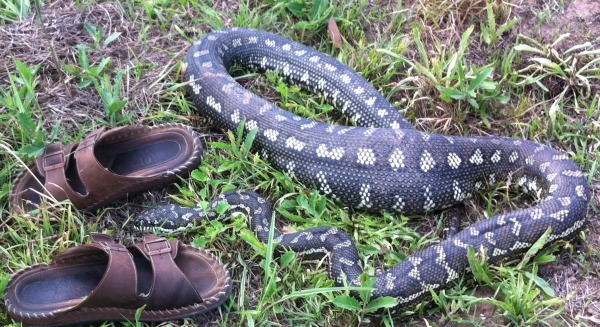 After 2 1/2 minutes I get the proper advice on what to do (get the snake’s head off the ground) – then it’s job done!